Experiments in mice suggest that the technology has a long way to go before being used for pest control in the wild. A controversial technology capable of altering the genomes of entire species has been applied to mammals for the first time. In an article posted1 on the bioRxiv preprint server on 4 July, researchers describe developing ‘gene drives’ — which could be used to eradicate problematic animal populations — in lab mice using the CRISPR gene-editing technique. Gene drives ensure that chosen mutations are passed on to nearly all an animal’s offspring. They have already been created in mosquitoes in the lab, as a potential malaria-control strategy. Researchers have raised the possibility that the technology could help to kill off invasive rats, mice and other rodent pests. But the latest study dashes hopes of that happening any time soon, say scientists. The technique worked inconsistently in lab mice, and myriad technological hurdles remain before researchers could even consider releasing the tool in the wild. “There’s an indication it could work, but it’s also sobering,” says Paul Thomas, a developmental geneticist at the University of Adelaide in Australia, who was not involved in the research. “There is a lot more to do before you could consider gene drives for a useful tool for population control of rodents.” His lab is doing similar work, as part of an international consortium to use gene drives to combat invasive rodents. Gene drives work by ensuring that a higher proportion of an organism’s offspring inherit a certain, ‘selfish’ gene than would happen by chance, allowing a mutation or foreign gene to spread quickly through a population. They occur naturally in some animals, including mice, where they can cause death or infertility. But the revolutionary CRISPR–Cas9 gene-editing tool has led to the development of synthetic gene drives that are designed to eliminate problem species, such as malaria-transmitting mosquitoes, from the wild by, for instance, ensuring that offspring are infertile. The technology has attracted controversy — and even a failed attempt to ban its use globally — because, if released in the wild, organisms carrying gene drives might be hard to contain. A team led by Kim Cooper, a developmental geneticist at the University of California, San Diego, did not attempt to develop a gene drive to make lab mice (Mus musculus) infertile. 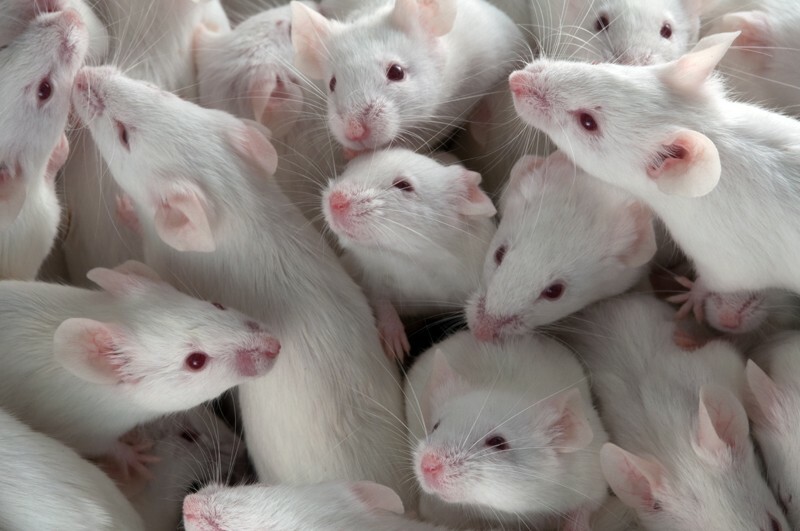 Rather, the researchers’ goal was to create a test bed for the technology, which they say could also be useful in basic research: they biased the inheritance of a mutation that gives mice all-white coats, instead of infertility. CRISPR-based gene drives use the gene-editing tool to copy a mutation on one chromosome to the second of the pair, usually during an animal’s early development. When Cooper’s team attempted this in mouse embryos, the mutation was not always copied correctly, and the process worked only in female embryos. The team estimated that this could lead to a mutation being transmitted to about 73% of a female mouse’s offspring, on average, instead of the usual 50% for most genes operating under the normal rules of inheritance. Cooper declined to comment on her team’s work, because it has not yet been published in a peer-reviewed journal. Tony Nolan, a molecular biologist at Imperial College London who is part of a team developing gene drives in malaria-carrying mosquitoes, is excited to see that gene drives can, at least, work in rodents. Even if the technology doesn't become an eradication tool, it could be more efficient than existing technologies at producing transgenic lab animals that model diseases caused by multiple mutations, he says. Other researchers agree that the study is important, but say it also shows just how far the technology has to go in rodents. “Could you imagine this gene drive in the wild? That’s not going to happen,” says Gaétan Burgio, a geneticist who works on CRISPR at the Australian National University in Canberra. The relatively low efficiency of the technique means it would take many generations for the gene drive to spread through an entire rodent population, leaving ample time for species to evolve resistance. Thomas describes the results as a “reality check” for efforts to develop gene drives in rodents. “It gives an indication to how much further there is to go,” he says. Future work should seek to improve efficiency, as well as understand why the technique doesn’t work in male mice, Thomas adds. He is a member of a consortium called Genetic Biocontrol of Invasive Rodents, or GBIRd, that hopes to deploy gene drives against rats and mice. CRISPR gene drives aren’t the consortium’s only strategy for dealing with invasive rodents. GBIRd member David Threadgill, a geneticist at Texas A&M University in College Station, and his team are working with a gene drive that occurs naturally in mice, called the t-haplotype. The researchers plan to modify this selfish gene to create daughterless mice: females carrying two copies will give birth only to males, potentially leading to a population crash. Grunwald, H. A. et al. Preprint on bioRxiv https://doi.org/10.1101/362558 (2018).